You’ve probably seen this green menace before, but do you know what it is? 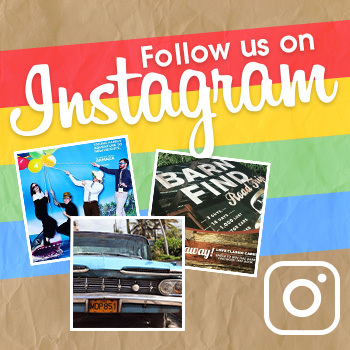 Over the years, the hot rod community has developed its own unique culture with unique styles, appeals, and leaders. One prominent product from hot rod culture which enthusiasts recognize but the general community often doesn’t is the Rat Fink character. A cartoon creation of artist Ed “Big Daddy” Roth, Rat Fink is a brash, grotesque character that lives on as a symbol of a motoring era. What’s with This Wacko Rat Fink Thing? Roth designed a mascot to promote his custom car kits and art brand; he created a grotesque green/grey rat with wild eyes and sharp teeth–an intentional opposite of the wholesome Mickey Mouse which Roth disliked. He’s recognizable for his crazed look, unattractive body, gaping mouth, and overalls with his initials on them. The character’s friends included other characters Drag Nut, Mother’s Worry, and Mr. Gasser. This new character, Rat Fink, immediately caught on after appearing in a Car Craft magazine ad in 1963, showing up on shirts, wallets, keychains, toys, stickers, and much more. Despite never actually appearing in his own animated productions, Rat Fink was–for a time–one of the most recognizable characters around. 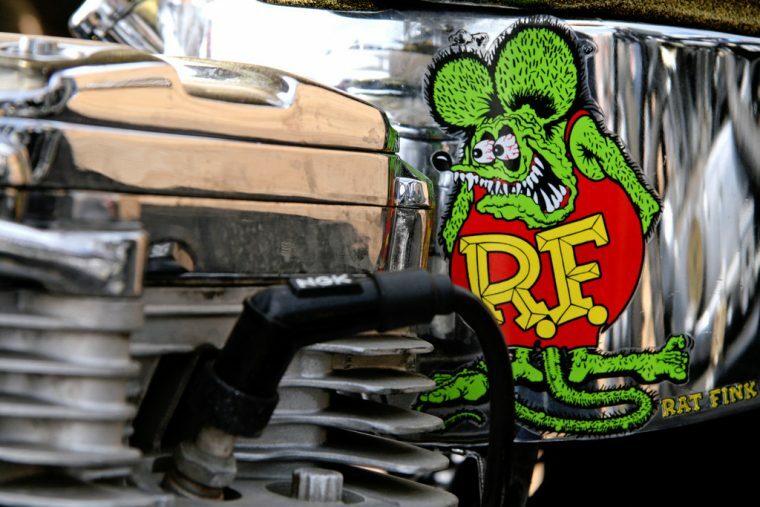 Rat Fink’s presence lessened as the hot rod era passed, but his likeness made a reappearance in the 1980s and ’90s in the grunge rock movement, with some bands using the artwork for album covers, concert posters, and promotional materials. If you want to learn more about Roth’s “Monster Hot Rod” art form, including the legacy of Rat Fink and hot rod culture, check out the great 2006 documentary, Tales of the Rat Fink.